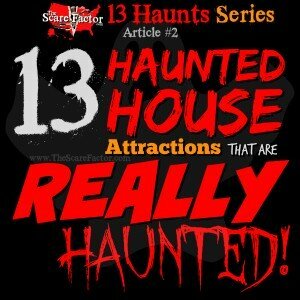 13 Haunted House Attractions that are REALLY Haunted!! 13 Haunted House Attractions that are REALLY Haunted! Every avid Halloween enthusiast loves a good scare every once in a while. Like us, some of you even go to as many haunted attractions as you can during September and October. Now, we all know that these “spook houses” are full of actors that are trained to jump out and scare the crap out of us at JUST the right moment; but what if that whisper you heard or the hand that brushed your shoulder WASN’T a flesh-and-bone person? What if the haunted house really IS haunted? 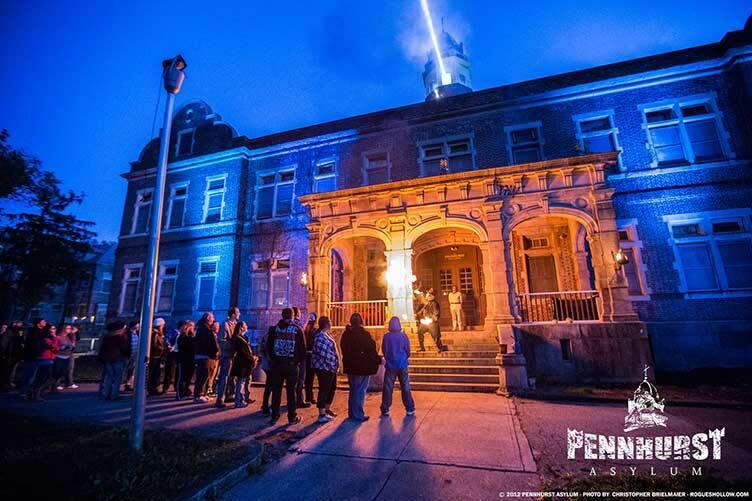 This list has 13 Halloween haunted attractions with full-time “spooks” that can be more TERRIFYING than any scare-actor! The Ohio State Reformatory first opened its doors in 1896 and is home to what many refer to as The Mansfield Reformatory. The doors to the building were closed in 1990, after it housed approximately 155,000 prisoners. A lot of filming has taken place on-grounds of The OSR including the making of The Shawshank Redemption and if you haven’t had a chance to watch the film yet we highly recommend it. Now as you all know, forms of execution back in the day were different than they are now. 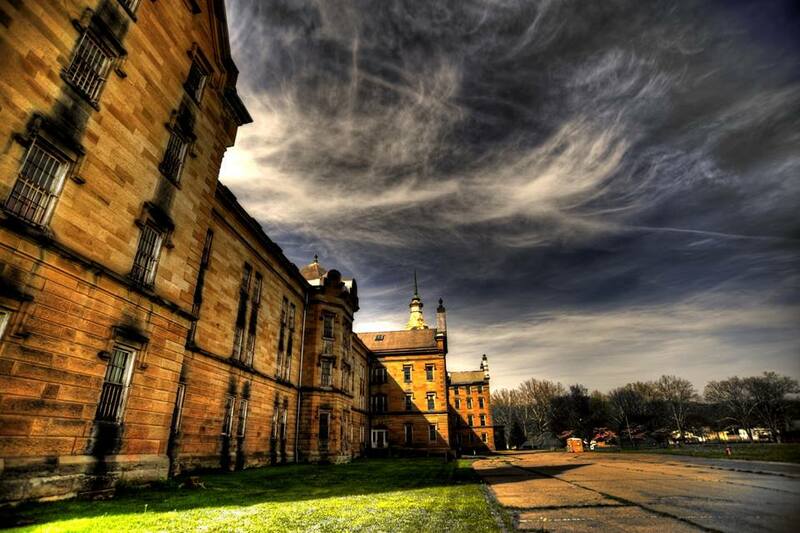 Be sure to think on that for a moment before questioning why this Reformatory may be truly haunted. Visitors may also notice the OSR cemetery that we are sure is the source to a lot of the paranormal activity that takes place here! Queen Mary was built in the United Kingdom during the 1930’s. Due to her large size and great speeds, she was transformed and used as a troopship during World War II, transporting 765,429 military personnel. Her transformation consisted of camouflaging her appearance by painting and stripping all luxuries. She was then dubbed the “Grey Ghost” due to her stealth look from 1939-1946. She earned the nickname, the “haunted ship” in the 1950’s and in 1967 she took her final cruise. Now a living landmark, The Queen Mary hosts a hotel & museum along with other amenities including their annual Dark Harbor haunted house. Voted as one of the 10 most haunted places by Time Magazine, it is said that there were approximately 55 deaths on the ship that could be the explanation to all of her paranormal activity. Several apparitions have been spotted on the ship including children who drowned in the pool, a lady in white and a sailor who passed away in the engine room. Various paranormal sites and ghost hunters have investigated Queen Mary. Many of their investigations and evidence videos can be found on YouTube. If you are interested in exploring the hot spots of the ship, where most of the action happens, you can! They offer a Paranormal Ship Walk where the most active areas of Queen Mary will be toured. There are also many other events available including Dining with the Spirits, Paranormal Investigations, Twilight Historical Tour and other activities that don’t relate as closely to the haunted. 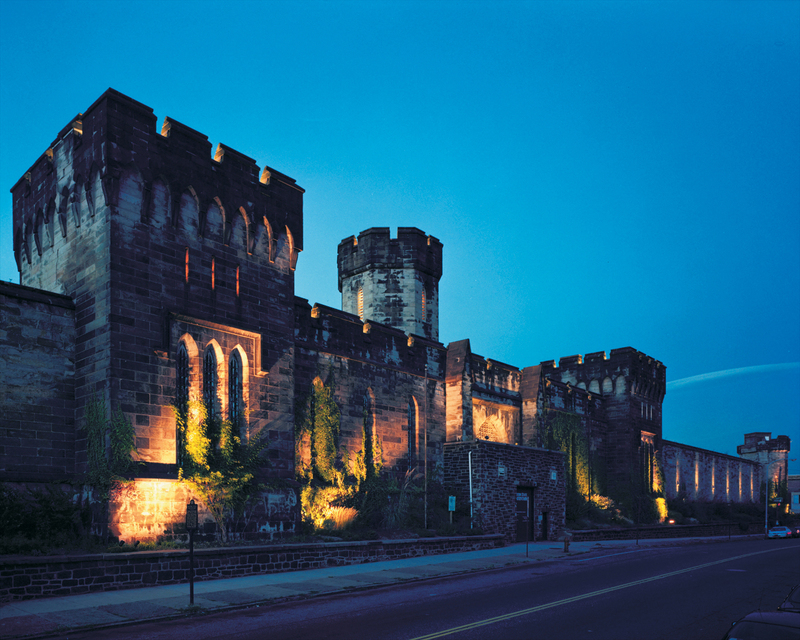 Originally opening in 1829, this penitentiary has formed quite a history. Death Row was added to the prison in 1956 and the facility was eventually shut down in 1971. Some of the most well-known prisoners were convicted here during its 142-year run. Employees and prisoners reported unexplained experiences as far back as the 1400s. Multiple investigation teams visit the Penn every year in an attempt to prove the location is haunted and share their experiences with others who are interested. 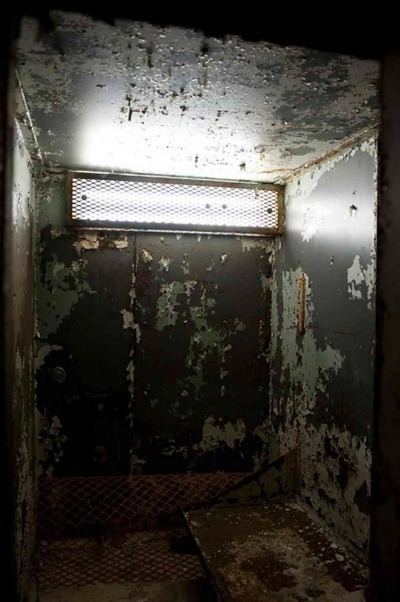 The Penitentiary has been featured on many media outlet investigations including Ghost Adventures, SyFy’s Ghost Hunters, MTV’s Fear, The Travel Channel’s Most Haunted, National Geographic’s APRA and others. 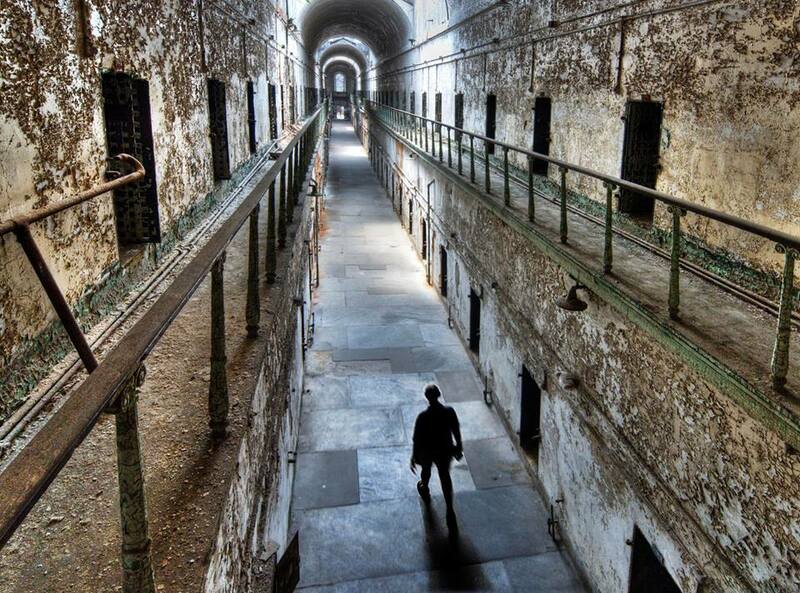 If you would like to find more information on Eastern State Penitentiary there are a ton of videos on YouTube as well as books and audio recordings that can be found on their site. The Penn offers various tours & exhibits throughout the year including their “Audio Tour,” “Hands-On History,” school group tours, general interest tours and more! Terror Behind the Walls, the haunted attraction that takes place on-grounds goes on during the Halloween season. 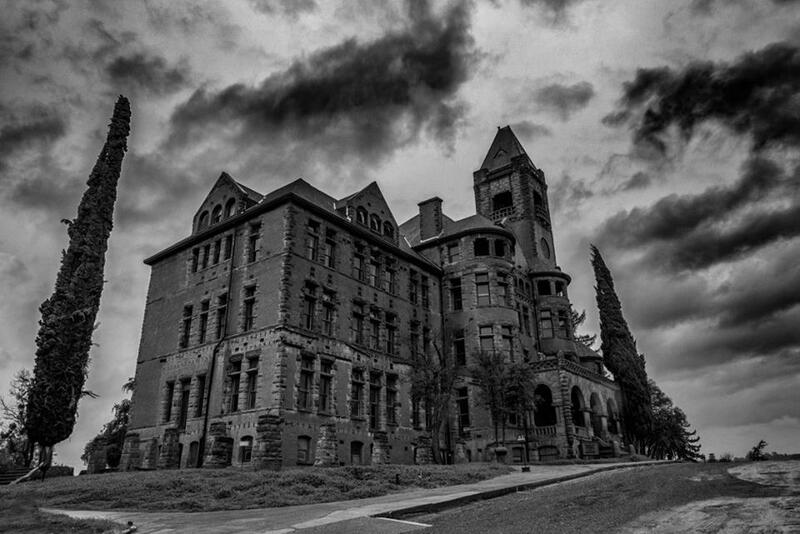 Pennhurst Asylum was built in 1908 and operated as a state school for physically and mentally disabled residents. Once perceived as a place that took care of those who resided there, it eventually became evident that it was basically a building of torture. It is said that patients would have bruises and other signs of mistreatment. The property spans 120 acres and even includes an underground tunnel system that was used to transport patients more easily. In 1986 the facility was forced to close. We are sure that any souls who never escape these walls are still lurking the halls, seeking vengeance on those who mistreated them. 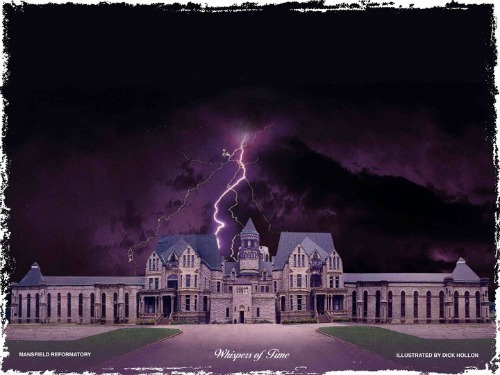 When the haunted house staff obtained the building for the attraction, they discovered that a lot of the original medical equipment, electrical shock and REAL morgue were all still intact at the Asylum. If you get the opportunity to tour this haunted attraction, keep in mind that many of the things around you are, in fact, authentic remnants of the old state school! Pennhurst has been featured on The Travel Channel and Ghost Adventures. Various strange recordings and mysterious photos have been recorded and taken on-grounds. The Mayflower building is said to be the most paranormally active. Tickets can be purchased separate for this event from the other haunted attractions. 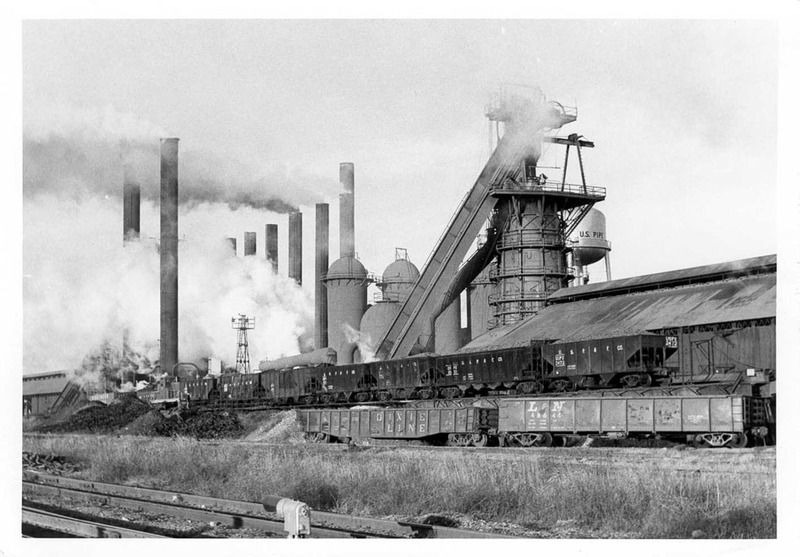 From 1882 to 1971 the Sloss Furnaces produced iron in Birmingham, AL. More than 100 reports of paranormal activity have been recorded in the Birmingham Police records alone. The furnaces were very dangerous to work around and many have said there were quite a few workers who died because of this. 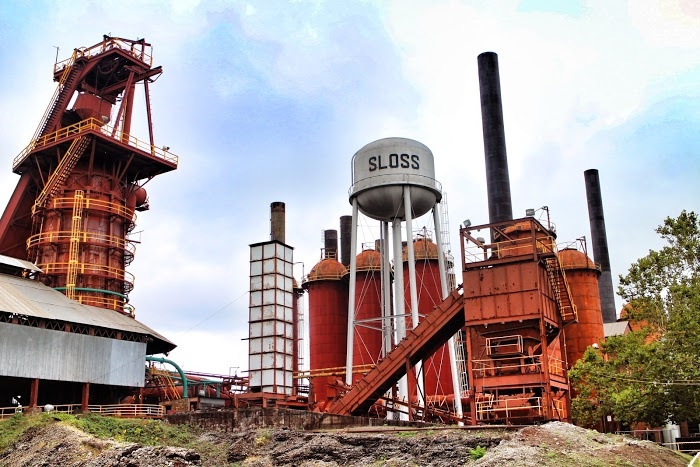 The Sloss Furnaces have been featured on Ghost Hunters, Ghost Adventure, Scariest Places on Earth, MTV’s Fear and Unexplained Mysteries. There are many personal ghost stories and experiences that can be found on their website. 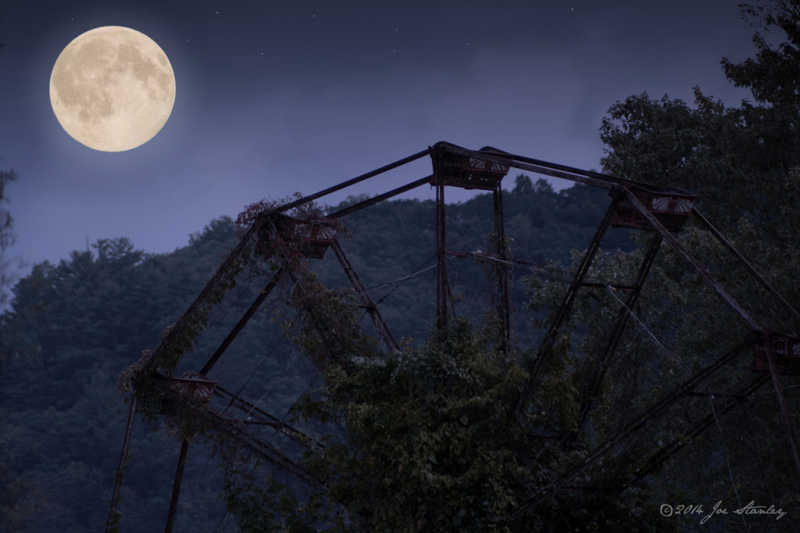 It is often said that the spirits at Sloss are some of the most evil of spirits there are. The furnaces are now a National Historic Landmark. You can visit the property for both guided and self-guided tours separate from the haunted house tours. 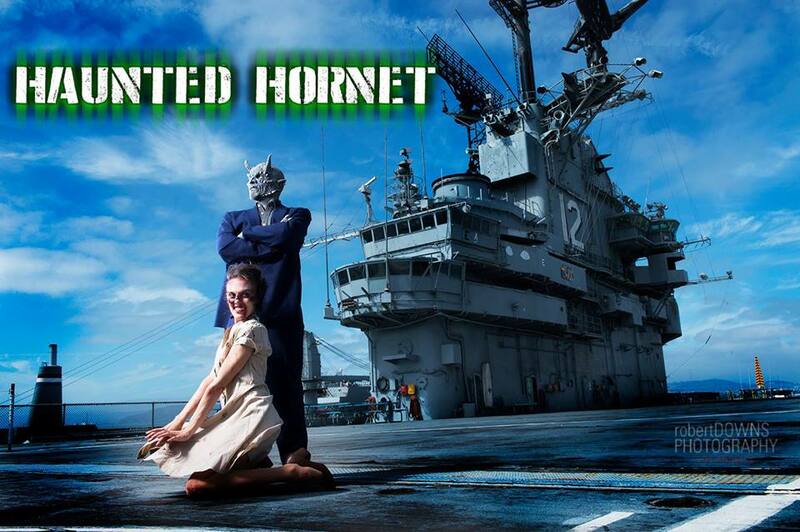 The haunted attraction that takes places on the USS Hornet during the Halloween season is brought to you by ScareCo, Inc. ScareCo partners with the Hornet’s Museum in housing the annual event offering “A shipload of fear” aboard this aircraft carrier that was decommissioned in 1970. The USS Hornet, now a National and State landmark, served its active duties from 1940 to 1960. 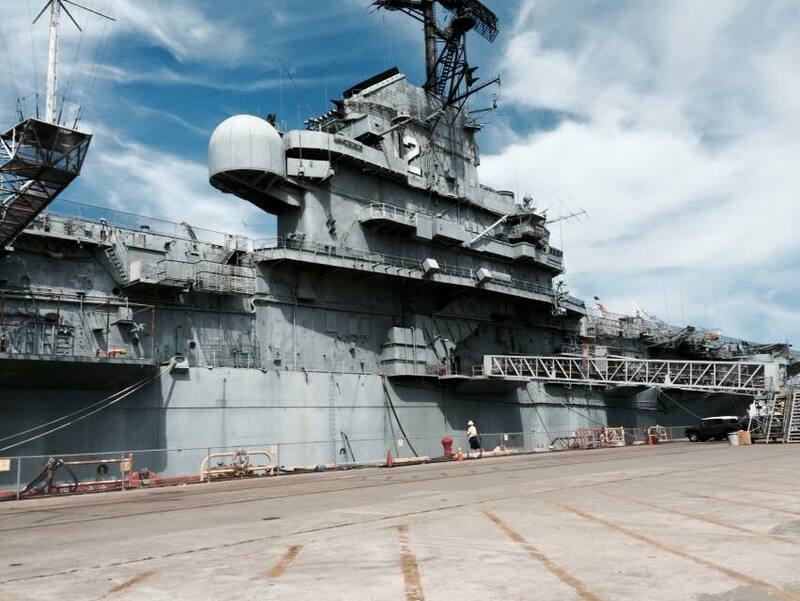 This ship was used during World War II, the Vietnam War, the Cold War and Apollo 11 and 12. The ship is now noted by many as “The most haunted Navy ship in the world” and according to hauntedbay.com, more than 300 people lost their lives aboard the carrier. 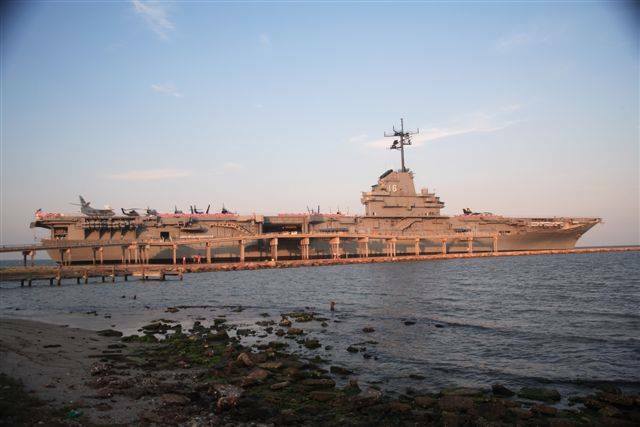 Hauntedbay.com also noted that, “The USS Hornet has the dubious honor for having the highest suicide rate in the Navy. Many unexplained incidents have been reported about the ship and there are many stories and experiences that can be found online. A variety of activities are offered at the Hornet from flashlight tours, museum rentals, group tours, flight simulator rides and much more! On August 13th, 2016 the Museum will be hosting the Grey Ghost Paracon Event! For more information please be sure to visit their website but we can tell you it involves staying all night! 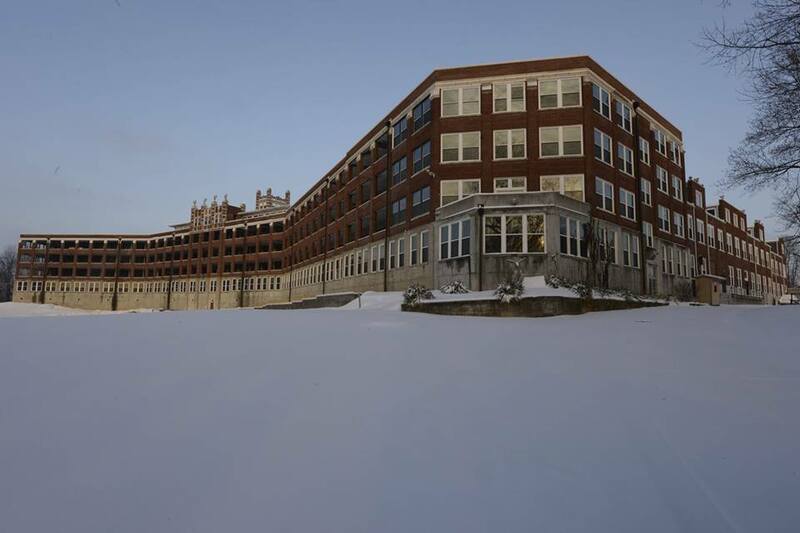 Waverly could hold over 400 patients and is known for its gothic-style building. 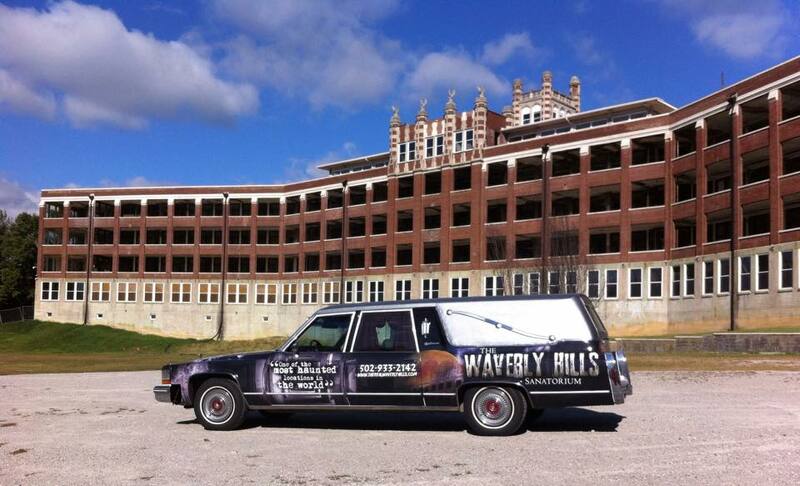 Many patients’ lives were cut short while they lived at Waverly Hills. One of the creepiest parts of the property, a 500 foot tunnel (referred to by many as “the death tunnel”) down the hill was sometimes used to transport dead bodies so that the living patients did not see them. There are rumored stories about some of the ghosts that exist at Waverly. One of the most well-known stories evolves around the room “502,” involving the death of a nurse who hanged herself outside the room. It is said that there could have been over 11,000 deaths at the Hospital. 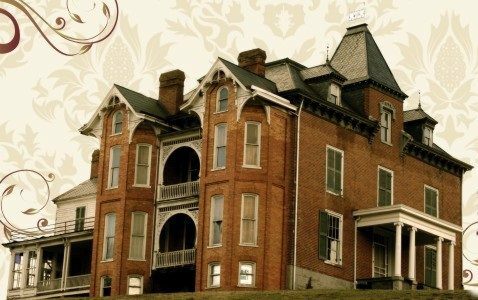 Waverly has been featured on Ghost Hunters, Scariest Places on Earth, Celebrity Paranormal Project, Most Haunted, Ghost Adventurers and many more! They also offer a variety of activities aside from their haunted house including paranormal tours, a Christmas laser light show, historical tours and more! The film “Death Tunnel” and the documentary “Spooked: The Ghosts of Waverly Hills Sanatorium” were both filmed at Waverly. 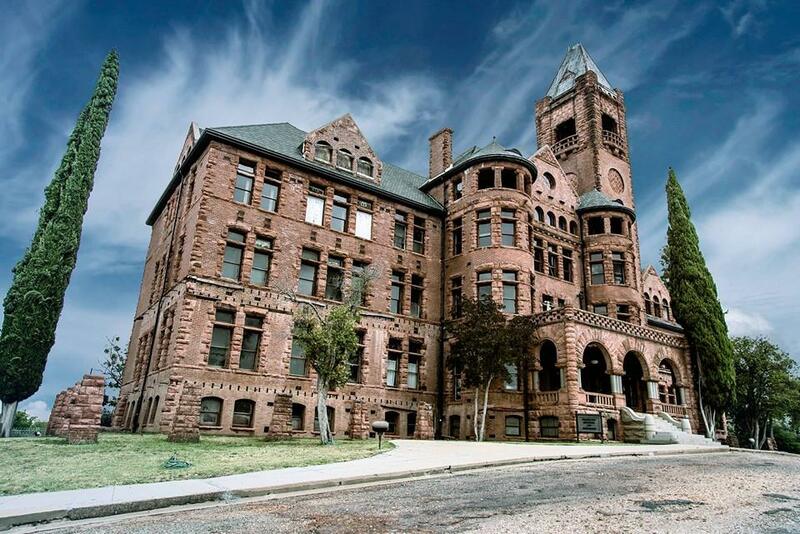 The Preston Castle was originally built as a School of Industry for juvenile offenders. In December of 1890, the cornerstone was laid while 2,500 people were in attendance. The school officially opened in 1894 and remained open until 1960. The Castle is now a California Landmark. 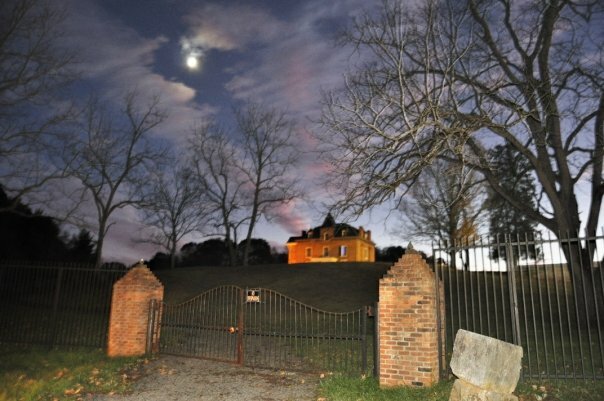 Other than the haunted house, Preston Castle offers flashlight tours, public tours, private tours, overnight ghost tours and more! 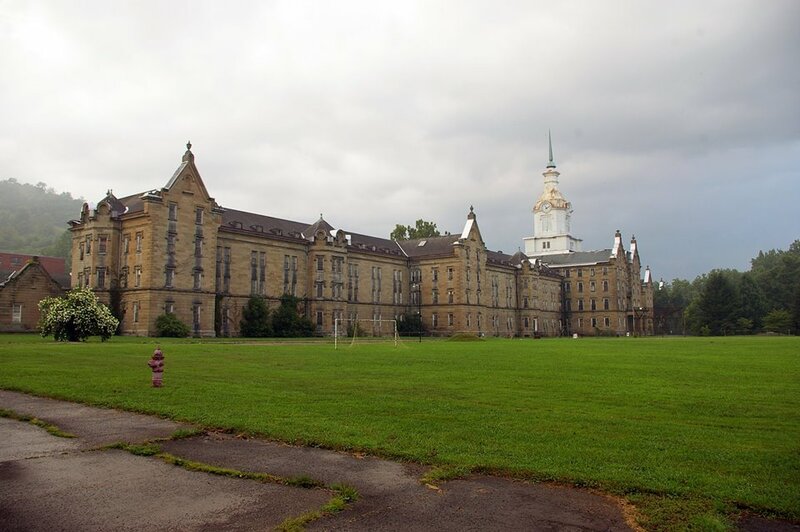 Formerly known as the Weston State Hospital, The Trans Allegheny Lunatic Asylum operated as an asylum for the criminally insane for 130 years after closing its doors in 1994. It is now a nationally recognized and historic landmark. The facility shares 269 acres with 3 graveyards, a morgue, forensics buildings, a medical center and more! Many of the insane died within the Asylum’s walls. You can find stories about “Lilly” one of the resident ghosts of a little girl who supposedly haunts the halls. Trans Allegheny has been featured on many paranormal media outlets and TV shows including Ghost Hunters, Ghost Hunters Academy, Ghost Adventures, Paranormal Challenge and others. Additional events from the haunted house are offered at the Asylum including Year-round ghost hunts and tours, overnight tours, flashlight tours, photography tours and more. The Lake Nightmare seasonal horror attraction takes place at Lake Shawnee, “Where History and the Paranormal Meet.” Lake Shawnee is an abandoned amusement park that has been quiet for nearly 50 years. 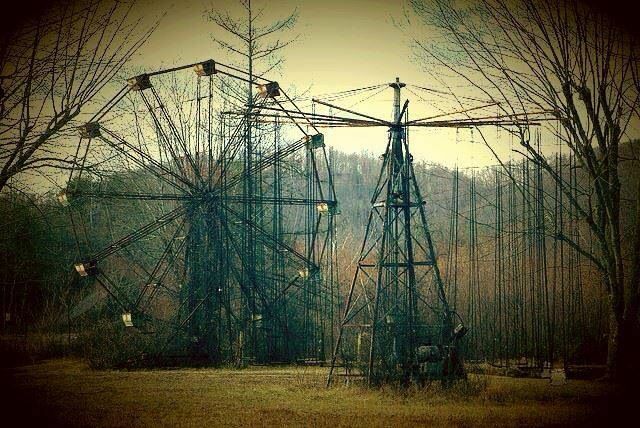 The park was shut down in 1966, after two accidental deaths took place on the property. History claims that the park rests on an ancient Shawnee burial ground and we all know that doesn’t sound very good! With history dating way back, many brutal happenings have taken place here throughout the years. A group of the Shawnee’s attacked a local family, scalping one of their children, burning one at the stake and also used other means of murder. There were also at least 6 tragic deaths associated with the actual park itself. It is said that several children who were killed at the park still haunt it to this day. Workers have plenty of their own stories that you can find online. Lake Shawnee has many paranormal investigation visitors and has been featured on Discovery Channel’s Ghost Lab, The Most Terrifying Places in America and The National Geographic’s The Watch. The park held its first, true haunted attraction for the 2015 haunting season. History Tours are also offered at Lake Shawnee. This 250 year old, 11,000 square foot, historic and antebellum Mansion is protected by massive iron gates that will greet visitors when they arrive. It was built to exhibit the wealth of Squire David Graham but was named after his son, Major David Pierce Graham, a Civil War hero. Legends suggest that the Confederate officers actually used to hold meetings in the third floor attic room. The Mansion’s history goes way back to include slaves, wounded soldiers, servants and much more that attest to its haunting persona. Each section of the house has its own name and some are more spiritually active than others. Many paranormal investigators have reported seeing and experiencing the same spirits in the same areas of the building. Several EVP’s can be found on their website but they state that if you Google the Mansion’s name, you fill find plenty more evidence that suggests this property is truly haunted! 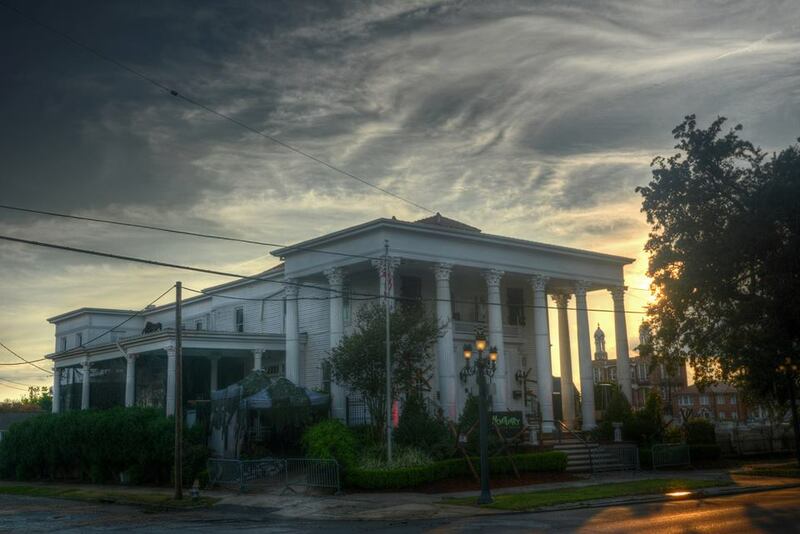 The Haunted Graham Mansion has been featured on and deemed “haunted” by SyFy’s Ghost Hunters. Many other paranormal groups have also deemed this location as being truly haunted. Aside from the annual haunted attraction that uses multiple buildings on-site, the Mansion offers haunted history tours, private investigations, public investigations and more! The ship’s crew consisted of around 3,000 total during WWII. It is said that 300 of those crew members lives’ ended aboard this ship. Many have reported mysterious happenings and what was believed to be paranormal experiences. Several of the current crew members now all claim to have seen the same manly apparition on the ship. Many different activities are offered aboard the Lexington. You can find information on group tours, hard hat tours, flight operations tours and more on the USS Lexington’s website. Many paranormal investigations and images can also be found on the web. 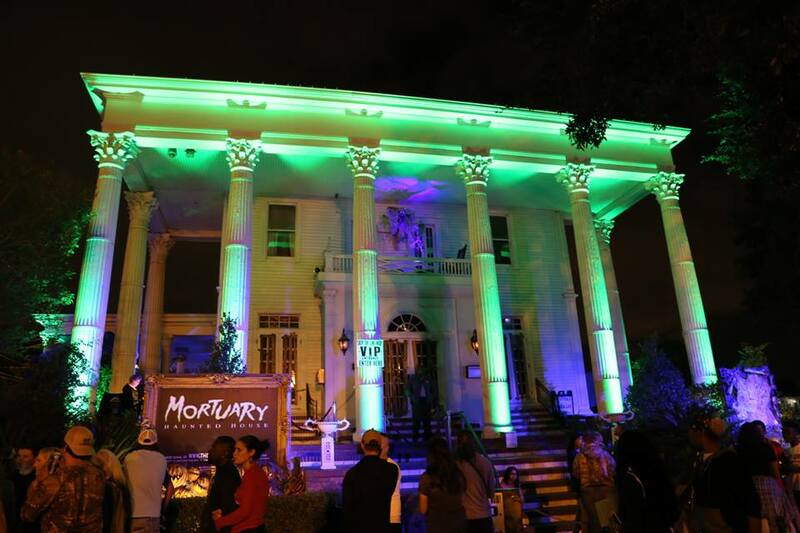 The Mortuary Haunted House takes place in what is said to be an actively haunted, 3 story building in New Orleans City of the Dead! The building was constructed in 1872 and was operated as a true mortuary for around 80 years. A building close to the Mortuary was set on fire by an arsonist in 1973, killing 32 men. It is believed that some, if not all, of their retrieved bodies were taken to the Mortuary. Many visitors and works of the Mortuary have claimed to see charred-looking apparitions roaming about the building. There have been 9 documented ghosts at the location since 2007. The Mortuary also offers their venue for parties and more. They can accommodate most types of parties and can even fully cater the event! Other offerings include a ghost image & EVP exhibit, an on-site theater, guided tours and more. Do you have your own “ghostly” haunted house experience ? Tell us about it! Do you have your own “ghostly” haunted house experience? Tell us about it!